O Pious comforter of the Mother of God! by the dolors and anxieties thou didst undergo in thy flight into Egypt, and by the joy thou receivedst when, at thy arrival, thou didst see the idols fall on the ground, as not being able to bear the presence of thy divine Jesus; pray for us, we beseech thee, that flying the dangers of all terrene and inordinate inclinations, we may one day rejoice to see all the black idols of our sins entirely cast down and destroyed in our souls. Amen. 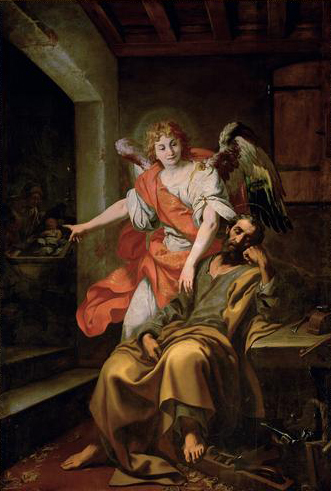 Saint Joseph, foster father of Our Lord Jesus Christ, and true spouse of the Blessed Virgin Mary, pray for us. Ven. 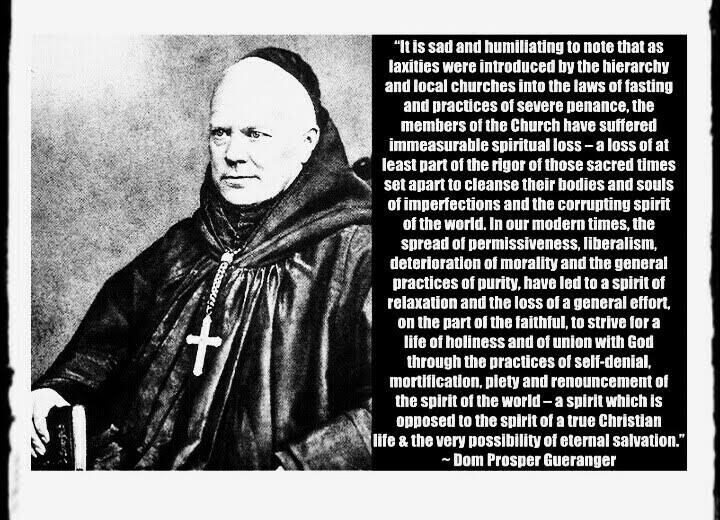 Abbot Dom Guéranger ora pro nobis! In order that she might impart this Joy to all her children, she has taken their weakness into account. After reminding them of the necessity of expiation, she gave them forty days wherein to do penance; and then, taking off all the restraint of Lenten mortification, she brings us to Easter as to a land where there is nothing but gladness, light, life, joy, calm, and the sweet hope of Immortality. Thus does she produce in those of her children, who have no elevation of soul, sentiments in harmony with the great Feast, such as the most perfect feel; and by this means, all, both fervent and tepid, unite their voices in one same hymn of praise to our Risen Jesus. The great Liturgist of the 12th century, Rupert, Abbot of Deutz, thus speaks of the pious artifice used by the Church to infuse the spirit of Easter into all: There are certain carnal minds, that seem unable to open their eyes to spiritual things, unless roused by some unusual excitement; and for this reason, the Church makes use of such means. Thus, the Lenten Fast, which we offer up to God as our yearly tithe, goes on till the most sacred Night of Easter; then follow fifty days without so much as one single Fast. Hence it happens, that whilst the body is being mortified, and is to continue to be so till Easter Night, that holy Night is eagerly looked forward to even by the carnal-minded; they long for it to come; and, meanwhile, they carefully count each of the Forty Days, as a wearied traveler does the miles. Thus, the sacred solemnity is sweet to all, and dear to all, and desired by all, as light is to them that walk in darkness, as a fount of living water is to them that thirst, and as a Teat which the Lord hath pitched for wearied wayfarers. What a happy time was that, when, as St. Bernard expresses it, there was not one in the whole Christian Army, that neglected his Easter duty, and when all, both just and sinners, walked together in the path of the Lenten Observances! Alas! those days are gone, and Easter has not the same effect on the people of our generation! The reason is, that a love of ease and a false conscience lead so many Christians to treat the law of Lent, with as much indifference as though there were no such law existing. Hence, Easter comes upon them as a Feast, it may be, as a great Feast; but that is all: they experience little of that thrilling Joy which fills the heart of the Church during this Season, and which she evinces in every thing she does. And if this be their case even on the glorious Day itself, how can it be expected that they should keep up, for the whole Fifty, the spirit of Gladness, which is the very essence of Easter? 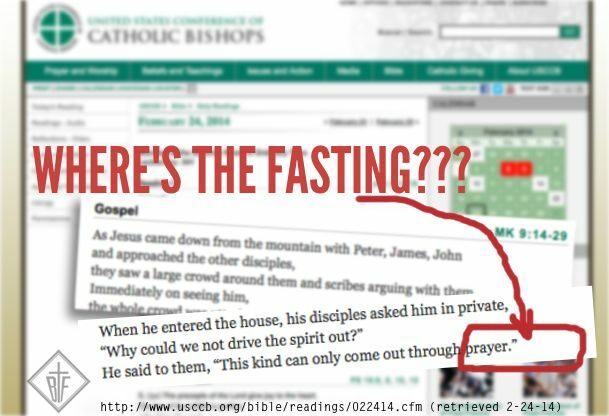 Fasting removed from Newchurch bible! They have not observed the Fast, or the Abstinence, of Lent: the mitigated form in which the Church now presents them to her Children, in consideration of their weakness, was too severe for them! They sought, or they took, a total dispensation from this law of Lenten mortification, and without regret or remorse. 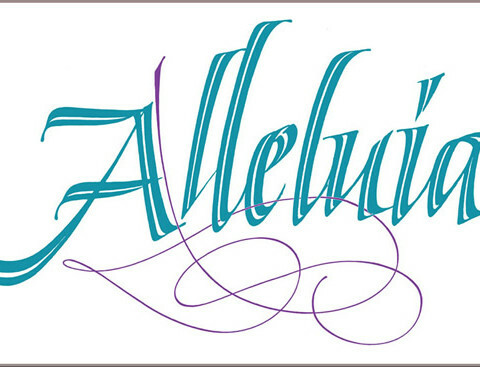 The Alleluia returns, and it finds no response in their souls: how could it? 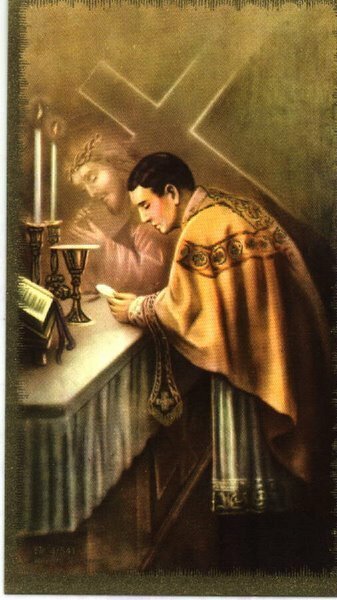 Penance has not done its work of purification; it has not spiritualized them; how, then, could they follow their Risen Jesus, whose Life is henceforth more of heaven than of earth? But these reflections are too sad for such a Season as this: let us beseech our Risen Jesus to enlighten these souls with the rays of his victory over the world and the flesh, and to raise them up to himself. No, nothing must now distract us from Joy. Can the children of the Bridegroom mourn, as long as the Bridegroom is with them? Jesus is to be with us for forty days; he is to suffer no more, and die no more; let our feelings be in keeping with his now endless glory and bliss. True, he is to leave us, he is to ascend to the right hand of his Father; but he will not leave us orphans; he will send us the Divine Comforter, who will abide with us for ever. These sweet and consoling words must be our Easter text: The children of the Bridegroom cannot mourn, as long as the Bridegroom is with us. They are the key to the whole Liturgy of this holy Season. We must have them ever before us, and we shall find by experience, that the Joy of Easter is as salutary as the contrition and penance of Lent. Jesus on the Cross, and Jesus in the Resurrection, it is ever the same Jesus; but what he wants from us now, is that we should keep near him, in company with his Blessed Mother, his Disciples, and Magdalene, who are in ecstasies of delight at his Triumph, and have forgotten the sad days of his Passion. But this Easter of ours will have an end; the bright vision of our Risen Jesus will pass away; and all that will be left to us, will be the recollection of his ineffable glory, and of the wonderful familiarity wherewith he treated us. What shall we do, when He who was our very Life and Light, leaves us, and ascends to heaven? Be of good heart, Christians! you must look forward to another Easter. Each year will give you a repetition of what you now enjoy. Easter will follow Easter, and bring you, at last, to that Easter in Heaven, which is never to have an end, and of which these happy ones of earth are a mere foretaste. Nor is this all. Listen to the Church. In one of her Prayers she reveals to us the great secret, how we may perpetuate our Easters, even here in our banishment: Grant to thy servants, O God, that they may keep up, by their manner of living, the Mystery they have received by their believing! 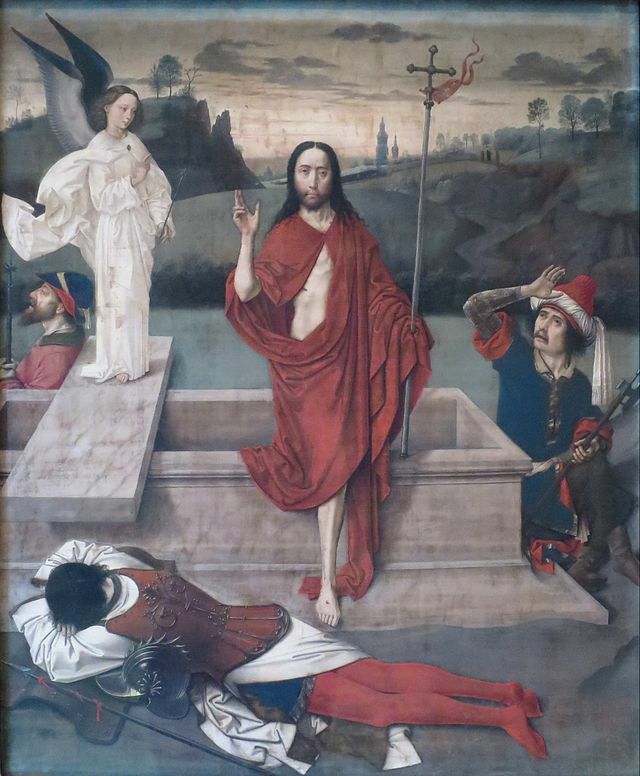 So, then, the mystery of Easter is to be ever visible on this earth: our Risen Jesus ascends to heaven; but he leaves upon us the impress of his Resurrection, and we must retain it within us until he again visits us. And how could it be that we should not retain this divine impress within us? Are not all the mysteries of our Divine Master ours also? From his very first coming in the Flesh, he has made us sharers in everything he has done. He was born in Bethlehem: we were born together with him. He was crucified: our old man was crucified with him. He was buried: we were buried with him. And, therefore, when he rose from the grave, we, also, received the grace that we should walk in the newness of life. Such is the teaching of the Apostle, who thus continues: We know that Christ rising again from the dead, dieth now no more; death shall no more have dominion over him: for in that he died to sin, (that is, for sin,) he died once; but in that he liveth, he liveth unto God. He is our Head, and we are his Members: we share in what is his. To die again by sin, would be to renounce him, to separate ourselves from him, to forfeit that Death and Resurrection of his, which he mercifully willed should be ours. Let us, therefore, preserve within us that Life, which is the Life of our Jesus, and, yet, which belongs to us as our own treasure; for he won it by conquering death, and then gave it to us, with all his other merits. You, then, who, before Easter, were Sinners, but have now returned to the Life of Grace, see that you die no more: let your actions bespeak your Resurrection. And you, to whom the Paschal Solemnity has brought growth in grace, show this increase of more abundant Life by your principles and your conduct. Tis thus all will walk in the newness of life. With this for the present, we take leave of the lessons taught us by Jesus’ Resurrection: the rest we reserve for the humble commentary we shall have to make on the Liturgy of this holy season. We shall then see, more and more clearly, not only our duty of imitating our Divine Master’s Resurrection, but the magnificence of this grandest Mystery of the Man-God. Easter, with its three admirable manifestations of divine love and power, the Resurrection, the Ascension, and the Descent of the Holy Ghost, yes, Easter is the perfection of the work of our Redemption. Everything, both in the order of time, and in the workings of the Liturgy, has been a preparation for Easter. The four thousand years that followed the promise made by God to our First Parents were crowned by the event that we are now to celebrate. All that the Church has been doing for us from the very commencement of Advent had this same glorious event in view; and now that we have come to it, our expectations are more than realized, and the power and wisdom of God are brought before us so vividly, that our former knowledge of them seems nothing in comparison with our present appreciation and love of them. The Angels themselves are dazzled by the grand Mystery, as the Church tells us in one of her Easter Hymns, where she says: The Angels gaze with wonder on the change wrought in mankind: it was flesh that sinned, and now Flesh taketh all sin away, and the God that reigns is the God made Flesh. Eastertide, too, belongs to what is called the Illuminative Life; nay, it is the most important part of that Life, for it not only manifests, as the last four seasons of the Liturgical year have done, the humiliations and the sufferings of the Man-God; it shows him to us in all his grand glory; it gives us to see him expressing, in his own sacred Humanity, the highest degree of the creature’s transformation into his God. The coming of the Holy Ghost will bring additional brightness to this Illumination; it shows us the relations that exist between the soul and the Third Person of the Blessed Trinity. And here we see the way and the progress of a faithful soul. She was made an adopted Child of the Heavenly Father; she was initiated into all the duties and mysteries of her high vocation, by the lessons and examples of the Incarnate word; she was perfected, by the visit and indwelling of the Holy Ghost. From this there result those several Christian exercises, which produce within her an imitation of her divine Model, and prepare her for that Union, to which she is invited by Him, who gave to them that received him power to be made sons of God, by a birth that is not of blood, nor of the flesh, but of God. 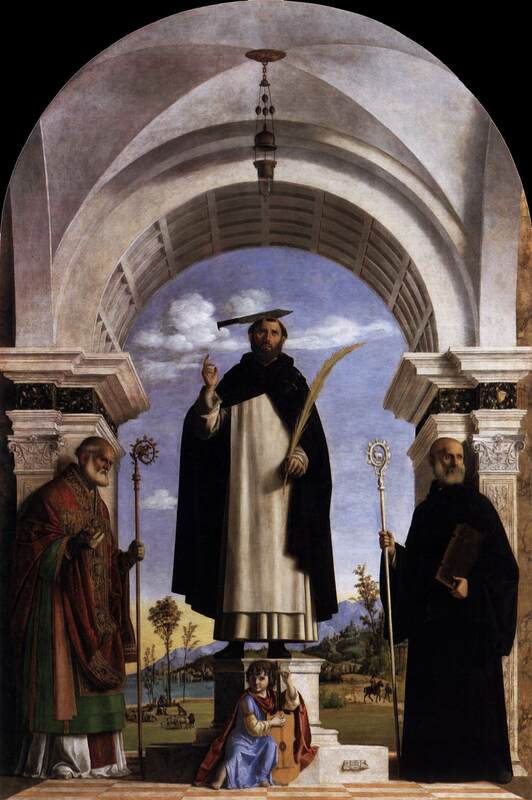 The eighty-one years of this Saint’s life were modeled on the Passion of Jesus Christ. In his childhood, when praying in church, a heavy bench fell on his foot, but the boy took no notice of the bleeding wound, and spoke of it as “a rose sent from God.” A few years later, the vision of a scourge with “love” written on its lashes assured him that his thirst for penance would be satisfied. In the hope of dying for the faith, he enlisted in a crusade against the Turks; but a voice from the Tabernacle warned him that he was to serve Christ alone, and that he should found a congregation in His honor. At the command of his bishop he began while a layman to preach the Passion, and a series of crosses tried the reality of his vocation. 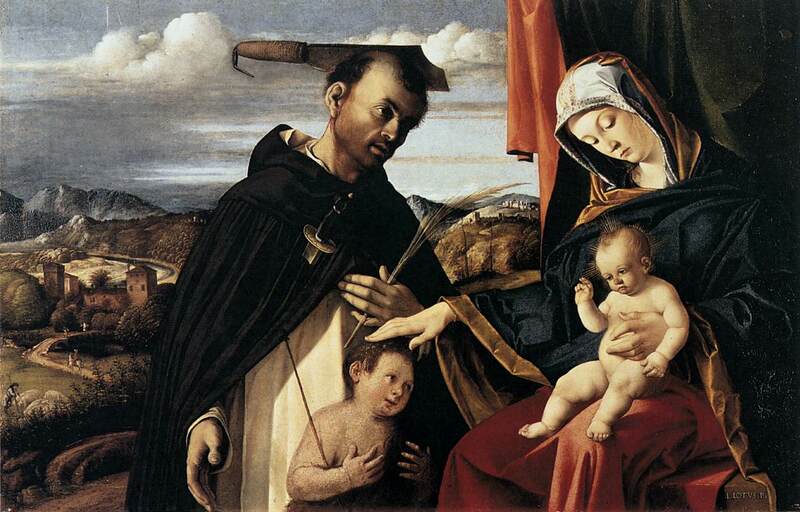 All his first companions, save his brother, deserted him; the Sovereign Pontiff refused him an audience; and it was only after a delay of seventeen years that the Papal approbation was obtained, and the first house of the Passionists was opened on Monte Argentario, the spot which Our Lady had pointed out. St. Paul chose as the badge of his Order a heart with three nails, in memory of the sufferings of Jesus, but for himself he invented a more secret and durable sign. 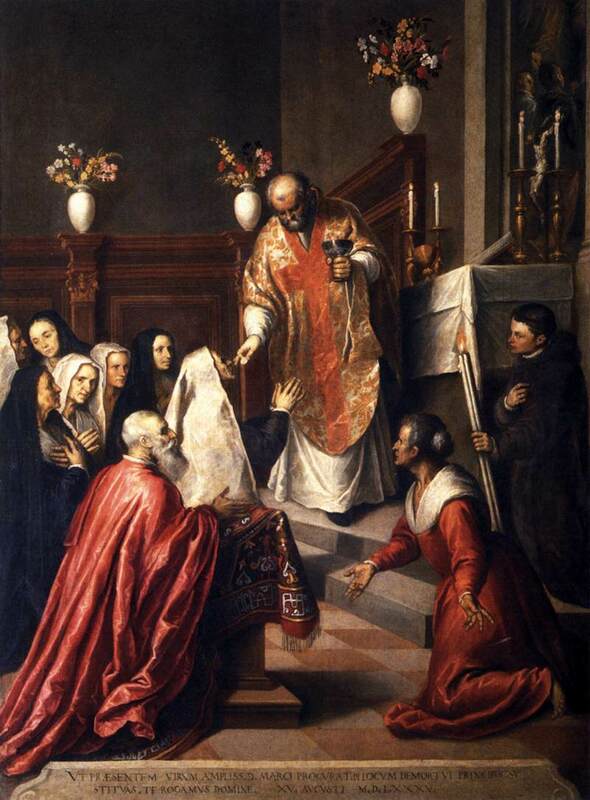 Moved by the same holy impulse as Blessed Henry Suso, St. Jane Frances, and other Saints, he branded on his side the Holy Name, and its characters were found there after death. His heart beat with a supernatural palpitation, which was especially vehement on Fridays, and the heat at times was so intense as to scorch his shirt in the region of his heart. Through fifty years of incessant bodily pain, and amidst all his trials, Paul read the love of Jesus everywhere, and would cry out to the flowers and grass, “Oh! be quiet, be quiet,” as if they were reproaching him with ingratitude. He died whilst the Passion was being read to him, and so passed with Jesus from the cross to glory. 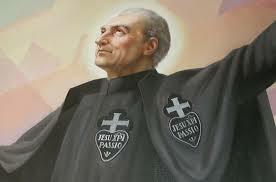 St. Paul of the Cross was beatified on 1 October 1852, and canonized on 29 June 1867 by Blessed Pius IX. Two years later, his feast day was inserted in the Roman calendar, for celebration on 28 April as a Double. In 1962 it was reclassified as a Third-Class feast, and in 1969 it became an optional Memorial and was placed on 19 October, the day after the day of his death, 18 October, which is the feast of Saint Luke the Evangelist. In 2006, this Optional Memorial was permanently transferred to 20 October. 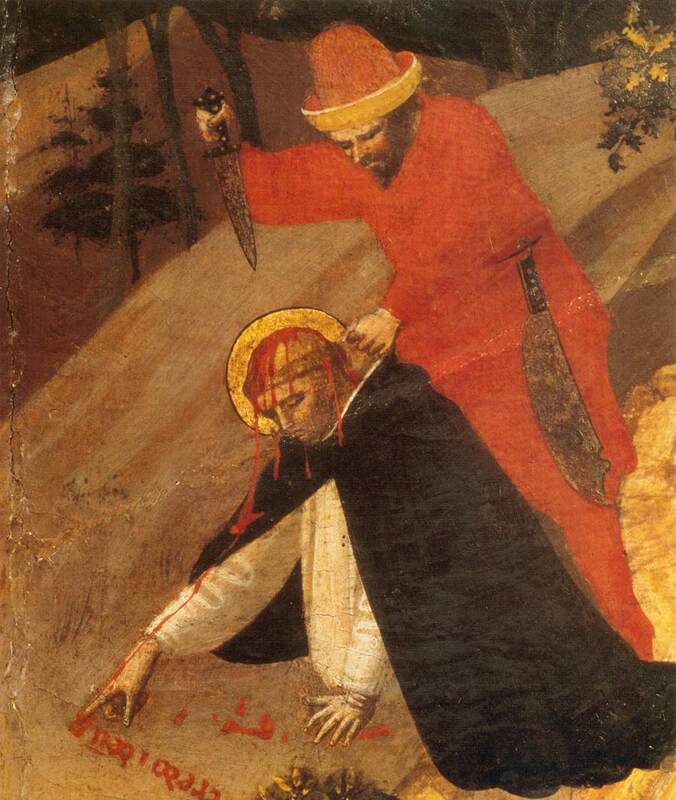 There are few Martyrs of the West, whose names are more celebrated than those of Saints Gervasius and Protasius. The veneration in which they are held by the Roman Church, has led her to honor the memory of their father, who also won the palm under the persecution of Nero. She has chosen for his feast the glad Season of Easter. The account, given by the Liturgy, upon St. Vitalis, is short; but we can gather, from the few circumstances related, what fine characters these primitive Christians were, who received the crown of martyrdom under the first of all the Persecutions, the one that numbers, among its choicest victims, the two Apostles Saints Peter and Paul. Encouraged by these words, Ursicinus bravely suffered martyrdom. Whereupon, Paulinus was exceedingly angry, and ordered Vitalis to be seized, tortured on the rack, and then thrown into a deep pit, where he was to be buried alive by stones being thrown upon him. This done, one of the priests of Apollo, who had excited Paulinus against Vitalis, was possessed by a devil, and began shouting these words: O Vitalis, Martyr of Christ, thou burnest me beyond endurance! Mad with the inward burning, he threw himself into a river. Sin is the enemy of the soul; it throws her back again into that death, whence Jesus had drawn her by his Resurrection. To preserve one of thy brethren from this misery, thou, O Vitalis, bravely raisedst a cry of zealous warning to him in the midst of his torments, and thy words awakened him to self-possession and courage. Show this same fraternal charity to us. We are living with the Life of our Risen Jesus; but the enemy is bent on robbing us of this manner of snares wherewith to deceive us; he will give us battle, and this untiringly. Pray then for us, O holy Martyr, that we may be on our guard, and that the mystery of the Pasch may be fully accomplished within us, now and forever! Christo confixus sum cruci: vivo autem, jam non ego: vivit vero in me Christus: in fide vivo Fílii Dei, qui diléxit me, et trádidit semetípsum pro me, allelúia, allelúia. Ps. 40: 2. Beátus qui intélligit super egénum et páuperem: in die mala liberábit eum Dóminus. Gloria Patri. With Christ I am nailed to the cross: but I live, now not I but Christ liveth in me. I live in the faith of the Son of God, Who loved me, and delivered Himself for me. Alleluia, alleluia. Ps. Blessed is he that understandeth concerning the needy and the poor: the Lord will deliver him in the evil day. Glory be to the Father. O Lord Jesus Christ, Who didst endow St. Paul with exceeding charity to preach the mystery of the Cross, and didst will that through him a new family should spring up in Thy Church, grant us, by his intercession, that, constantly venerating Thy passion on earth, we may be worthy to partake of its fruits in heaven. Who livest and reignest. Grant we beseech the almighty God, that we who celebrate the martyrdom of blessed Vitalis, through his intercession be strengthened in your love Through Jesus Christ, thy Son our Lord, Who liveth and reigneth with thee, in the unity of the Holy Ghost, ever one God, world without end. Amen. Brethren, Christ sent me not to baptize, but to preach the gospel: not in wisdom of speech, lest the Cross of Christ should be made void. For the word of the Cross, to them indeed that perish, is foolishness: but to them that are saved, that is, to us, it is the power of God. For it is written: I will destroy the wisdom of the wise, and the prudence of the prudent I will reject. Where is the wise? Where is the scribe? Where is the disputer of this world? Hath not God made foolish the wisdom of this world? For seeing that in the wisdom of God the world by wisdom knew not God, it pleased God by the foolishness of our preaching to save them that believe. For both the Jews require signs, and the Greeks seek after wisdom: But we preach Christ crucified, unto the Jews indeed a stumbling-block, and unto the Gentiles foolishness; but unto them that are called, both Jews and Greeks, Christ the power of God, and the wisdom of God. For the foolishness of God is wiser than men; and the weakness of God is stronger than men. Alleluia, alleluia. V. Christ died for all; that they also who live may not now live to themselves, but to Him who died for them, and rose again. Alleluia. Alleluia. And if sons, heirs also: heirs indeed of God, and joint heirs with Christ; yet so if we suffer with Him, that we may be also glorified with Him. Alleluia. At that time, The Lord appointed also other seventy-two; and He sent them two and two before His face into every city and place whither He Himself was to come. And He said to them: The harvest indeed is great, but the laborers are few: pray ye therefore the Lord of the harvest, that He send laborers into His harvest. Go, behold I send you as lambs among wolves. Carry neither purse, nor scrip, nor shoes; and salute no man by the way. Into whatsoever house you enter, first say, Peace be to this house: and if the son of peace be there, your peace shall rest upon him: but if not, it shall return to you. And in the same house remain, eating and drinking such things as they have: for the laborer is worthy of his hire. Remove not from house to house. And into what city soever you enter, and they receive you, eat such things as are set before you; and heal the sick that are therein; and say to them, The kingdom of God is come nigh unto you. Walk in love, as Christ also hath loved us, and hath delivered Himself for us, an oblation and a sacrifice to God, for an odor of sweetness. Alleluia. May these mysteries of Thy passion and death, O Lord, obtain for us that heavenly fervour by which St. Paul, when he offered the same, presented his own body as a living sacrifice, holy and pleasing unto Thee. Who livest and reignest. 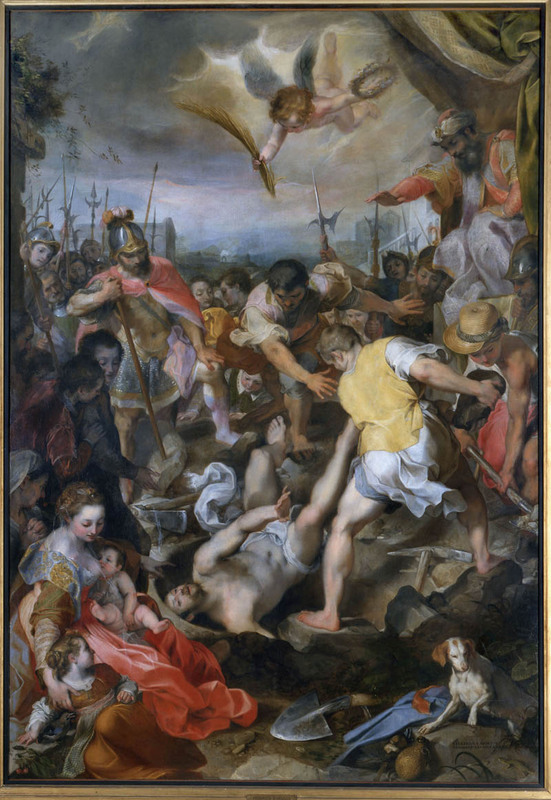 The martyrdom of Saint Vitalis. 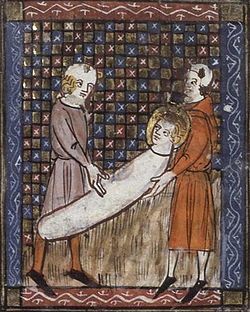 This 14th-century French manuscript depicts Vitalis being buried alive. 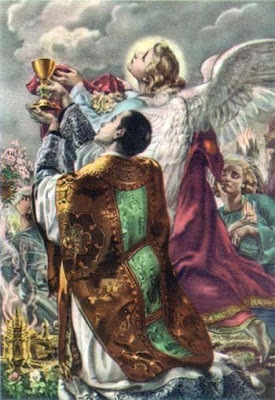 As thou hast received our gifts and prayers, O Lord, cleanse us, we ask by thy heavenly mysteries, and graciously hear us. Sanctus, Sanctus, Sanctus, Dóminus Deus Sábaoth. Pleni sunt cæli et terra glória tua. Hosánna in excélsis. Benedíctus qui venit in nómine Dómini. Hosánna in excélsis. If you partake of the sufferings of Christ, rejoice, that when His glory shall be revealed, you may also be glad with exceeding joy. Alleluia. Grant, we pray, O Lord our God, that we who in time render joyful service in memory of thy saints, may be gladdened by their company in eternity. Through Jesus Christ, thy Son our Lord, Who liveth and reigneth with thee. O Most glorious Joseph, and prudent Spouse of the Mother of God! by the great grief that wounded and pierced thy afflicted heart when thou didst hear from the mouth of Simeon that the soul of thy dear spouse was to be pierced with a sword, and by the joy thou hadst when thou didst hear from the same Simeon that Jesus was designed for the resurrection and salvation of mankind; pray for us, to the end that we may so partake in the sorrow of the Mother, as to be hereafter partakers of the joy and happiness of her beloved Son Jesus. Amen. 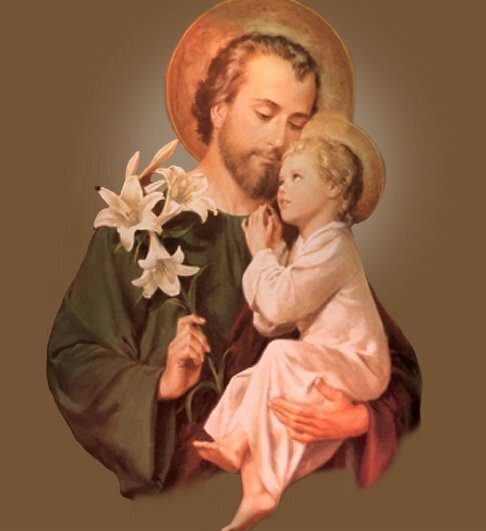 Saint Joseph, foster father of Our Lord Jesus Christ, and true spouse of the Virgin Mary, pray for us. 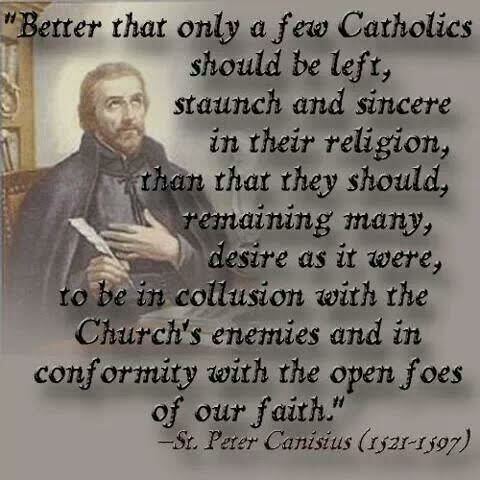 Peter Canisius was a renowned Dutch Jesuit Catholic priest. He became known for his strong support for the Catholic faith during the Protestant Reformation in Germany, Austria, Bohemia, Moravia, and Switzerland. The restoration of the Catholic Church in Germany after the Protestant Reformation is largely attributed to the work there of the Society of Jesus, which he led. 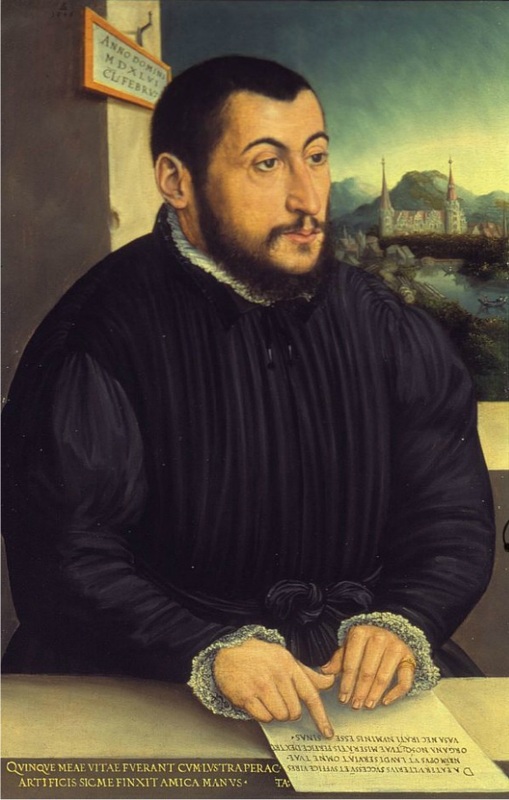 He was born in 1521 in Nijmegen in the Duchy of Guelders, which, until 1549, was part of the Habsburg Netherlands within the Holy Roman Empire and is now the Netherlands. His father was the wealthy burgermeister, Jacob Kanis; his mother, Ægidia van Houweningen, who died shortly after Peter’s birth. He was sent to study at the University of Cologne, where he earned a Master’s degree in 1540, at the age of 19. While there, he met Peter Faber, one of the founders of the Society of Jesus. Through him, Canisius became the first Dutchman to join the newly founded Society of Jesus in 1543. 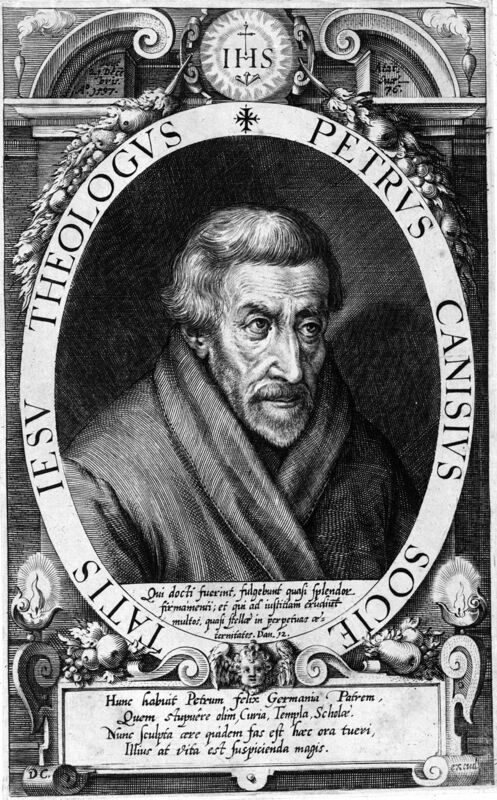 Through his preaching and writings, Peter Canisius became one of the most influential Catholics of his time. He supervised the founding and maintenance of the first German-speaking Jesuit colleges, often with little resources at hand. At the same time he preached in the city and vicinity, and debated and taught in the university. Because of his frequent travels between the colleges, a tedious and dangerous occupation at the time, he became known as the Second Apostle of Germany. He moved to Germany, where he was one of the main Catholic theologians at the Colloquy of Worms in 1557, and later served as the main preacher in the Cathedral of Augsburg from 1559 to 1568, where he strongly witnessed to his faith on three or four occasions each week. Canisius was renowned as a popular preacher. By the time he left Germany, the Society of Jesus in Germany had evolved from a small band of priests into a powerful tool of the Counter Reformation. Canisius spent the last twenty years of his life in Fribourg, Switzerland, where he founded the Jesuit preparatory school, the College of Saint Michael, which trained generations of young men for careers and future university studies. In 1591, at the age of 70, Canisius suffered a stroke which left him partially paralyzed, but he continued to preach and write with the aid of a secretary until his death in Fribourg. He was initially buried at the Church of St. Nicholas. His remains were later transferred to the church of the Jesuit College, which he had founded and where he had spent the last year of his life, and interred in front of the main altar of the church; the room he occupied during those last months is now a chapel open for the veneration of the faithful. Canisius taught that, while there are many roads leading to Jesus Christ, for him the veneration of the Blessed Virgin Mary is the best. His sermons and letters document a clear preoccupation with Marian veneration. Under the heading “prayer” he explains the Ave Maria (Hail Mary), as the basis for Catholic Marian piety. Less known are his Marian books, in which he published prayers and contemplative texts. 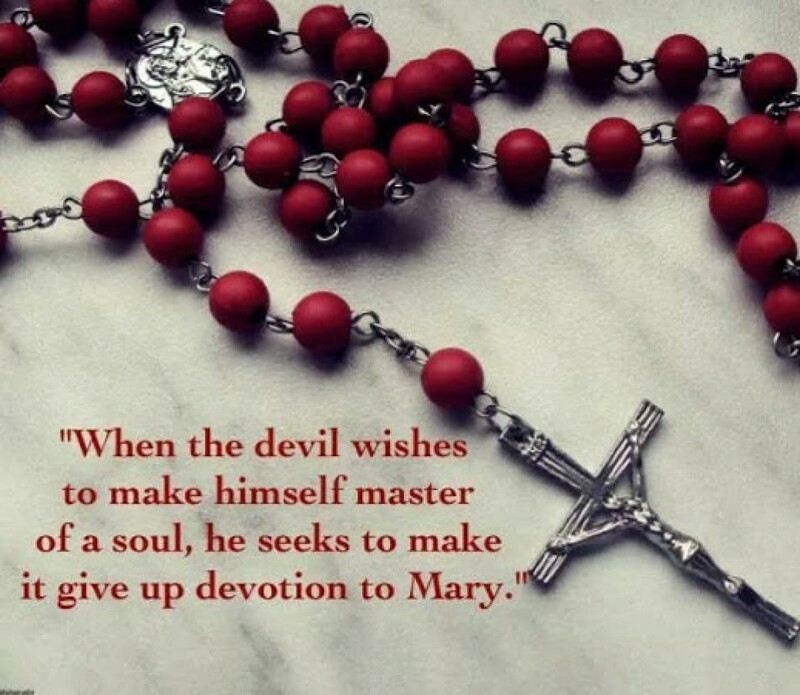 He is credited with adding to the Hail Mary the sentence Holy Mary, Mother of God, pray for us sinners. Eleven years later it was included in the Catechism of the Council of Trent of 1566. Canisius published an applied Mariology for preachers, in which Mary is described in tender and warm words. He actively promoted the sodalities of our Lady and the rosary associations. Theologically, Canisius defended Catholic Mariology, in his 1577 book, De Maria Virgine Incomparabili et Dei Genitrice Sacrosancta Libri Quinque. The book was ordered by Pope Pius V to present a factual presentation of the Catholic Marian teachings in the Bible, the early Christians, the Church Fathers and contemporary theology. Canisius explains and documents Church teachings through the ages regarding the person and character of Mary, her virtues and youth. He traces historical documents about the perpetual virginity of Mary, and her freedom from sin. He explains the dogma of “Mother of God” with numerous quotations from the fathers after the Council of Ephesus. He shows that Church teaching has not changed. He answers the sola Scriptura arguments of Protestants by analyzing the biblical basis for Mariology. In medio ecclesiæ aperuit os ejus: et implevit eum Dominus spiritu sapientiæ, et intellectus: stolam gloriæ induit eum. Ps. 91: 2. Bonum est confiteri Domino: et psallere nomini tuo, Altissime. Gloria Patri. In the midst of the Church the Lord opened his mouth: and filled him with the spirit of wisdom and understanding: He clothed him with a robe of glory. Ps. It is good to give praise to the Lord: and to sing to Thy Name, O Most High. Glory be to the Father. O God, Who for the defence of the Catholic Faith didst strengthen blessed Peter, Thy confessor, with virtue and learning: vouchsafe in Thy loving kindness, that by his example and precepts the erring may be restored to salvation, and the faithful may persevere in the confession of the truth. Through our Lord. Dearly beloved, I charge thee, before God and Jesus Christ, Who shall judge the living and the dead, by His coming and His kingdom: preach the word: be instant in season, out of season: reprove, entreat, rebuke in all patience and doctrine. 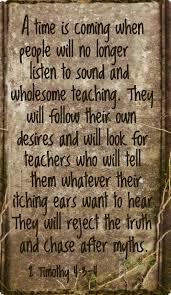 For there shall be a time when they will not endure sound doctrine, but according to their own desires they will heap to themselves teachers, having itching ears, and will indeed turn away from the truth, but will be turned into fables. But be thou vigilant, labour in all things, do the work of an evangelist, fulfil thy ministry. Be sober. For I am even now ready to be sacrificed and the time of my dissolution is at hand. I have fought the good fight, I have finished my course, I have kept the faith. As to the rest, there is laid up for me a crown of justice, which the Lord, the just Judge, will render to me in that day: and not only to me, but to them also that love His coming. Alleluia. The just man shall spring as the lily: and shall flourish forever before the Lord. Alleluia. Alleluia, alleluia. V. The Lord loved him and adorned him: He clothed him with a robe of glory. Alleluia. At that time, Jesus said to His disciples: You are the salt of the earth. But if the salt lose its savour, wherewith shall it be salted? It is good for nothing any more but to be cast out, and be trodden on by men. You are the light of the world. A city seated on a mountain cannot be hid. Neither do men light a candle and put it under a bushel but upon a candlestick, that it may shine to all that are before men that they may see your good works, and glorify your Father, Who is in heaven. Do not think that I am come to destroy the law or the prophets: I am not come to destroy, but to fulfill. For amen I say unto you, till heaven and earth pass, one jot or one tittle shall not pass of the law, till all be fulfilled. He therefore that shall break one of these least commandments, and so shall teach men, shall be called the least in the kingdom of heaven: but he that shall do and teach, he shall be called great in the kingdom of heaven. The just shall flourish like the palm tree: he shall grow up like the cedar of Libanus. Alleluia. May the holy prayer of Peter, Thy Doctor, fail us not, O Lord: may it render our offerings acceptable, and ever obtain for us Thy pardon. Through our Lord. We beseech Thee, O Lord, that blessed Peter, Thy illustrious Doctor may join his prayers to ours that this sacrifice may bring us salvation. Through our Lord. Of all the Seasons of the Liturgical Year, Eastertide is, by far, the richest in mystery. We might even say, that Easter is the summit of the Mystery of the sacred. Liturgy. The Christian who is happy enough to enter, with his whole mind and heart, into the knowledge and the love of the Paschal Mystery, has reached the very centre of the supernatural life. Hence it is, that the Church uses every effort in order to effect this: what she has hitherto done, was all intended as a preparation for Easter. The holy longings of Advent, the sweet joys of Christmas, the severe truths of Septuagesima, the contrition and penance of Lent, the heart-rending sight of the Passion, all were given us as preliminaries, as paths, to the sublime and glorious Pasch, which is now ours. And that we might be convinced of the supreme importance of this solemnity, God willed that the Christian Easter and Pentecost should be prepared by those of the Jewish Law: a thousand five hundred years of typical beauty prefigured the reality: and that reality is ours! During these days, then, we have brought before us the two great manifestations of God’s goodness towards mankind: the Pasch of Israel, and the Christian Pasch; the Pentecost of Sinai, and the Pentecost of the Church. We shall have occasion to show how the ancient figures were fulfilled in the realities of the new Easter and Pentecost, and how the twilight of the Mosaic Law made way for the full day of the Gospel: but we cannot resist the feeling of holy reverence, at the bare thought that the Solemnities we have now to celebrate are more than three thousand years old, and that they are to be renewed every year from this till the voice of the Angel shall be heard proclaiming: Time shall be no more! The gates of Eternity will then be thrown open. Eternity in Heaven is the true Pasch: hence, our Pasch, here on earth, is the Feast of feasts, the solemnity of solemnities. The human race was dead; it was the victim of that sentence, whereby it was condemned to lie mere dust in the tomb; the gates of Life were shut against it. But see! the Son of God rises from his grave, and takes possession of eternal Life. Nor is he the only one that is to die no more, for, as the Apostle teaches us, he is the first born from the dead. The Church would, therefore, have us consider ourselves as having already risen with our Jesus, and as having already got possession of eternal Life. The holy Fathers bid us look on these fifty days of Easter, as the image of our eternal happiness. 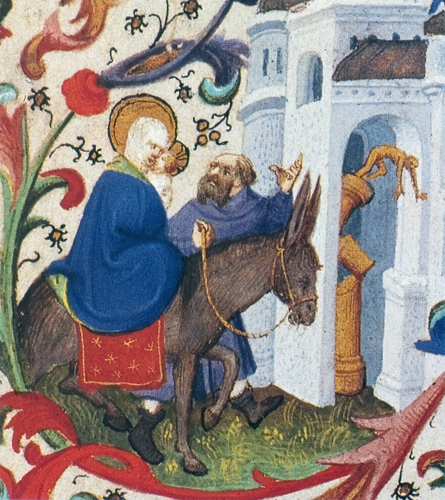 They are days that are devoted exclusively to joy; every sort of sadness is forbidden; and the Church cannot speak to her Divine Spouse without joining to her words that glorious cry of heaven, the Alleluia, wherewith, as the holy Liturgy says, the streets and squares of the heavenly Jerusalem resound without ceasing. We have been forbidden the use of this joyous word during the past nine weeks; it behoved us to die with Christ: but now that we have risen, together with him from the Tomb, and that we are resolved to die no more that death, which kills the soul, and caused our Redeemer to die on the Cross, we have a right to our Alleluia. The Providence of God, who has established harmony between the visible world and the supernatural work of grace, willed that the Resurrection of our Lord should take place at that particular season of the Year, when even nature herself seems to rise from the grave. The meadows give forth their verdure, the trees resume their foliage, the birds fill the air with their songs, and the sun, the type of our Triumphant Jesus, pours out his floods of light on our earth made Dew by lovely Spring. At Christmas, the sun had little power, and his stay with us was short; it harmonized with the humble birth of our Emmanuel, who came among us in the midst of night, and shrouded in swaddling. clothes: but now, he is as a giant that runs his way, and there is no one that can hide himself from his heat. 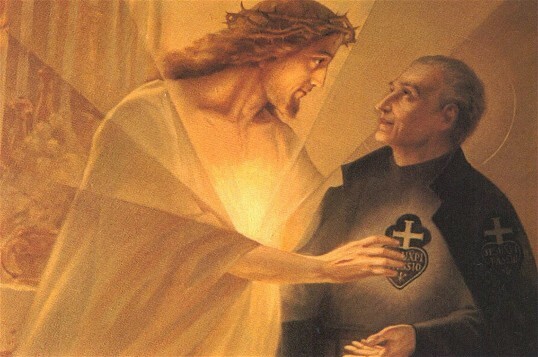 Speaking, in the Canticle, to the faithful soul, and inviting her to take her part in this new life, which he is now imparting to every creature, our Lord himself says: Arise, my dove, and come! winter is now past, the rain is over and gone. The flowers have appeared in our land. The voice of the turtle is heard. The fig-tree hath put forth her green figs. The vines, in flower, yield their sweet smell. Arise thou, and come! In the preceding chapter, we explained why our Saviour chose the Sunday for his Resurrection, whereby he conquered death and proclaimed Life to the world. It was on this favoured Day of the week, that he had, four thousand years previously, created the Light; by selecting it now for the commencement of the New Life be graciously imparts to man, he would show us that Easter is the renewal of the entire creation. Not only is the anniversary of his glorious Resurrection to be, henceforward, the greatest of days, but every Sunday throughout the year is to be a sort of Easter, a holy and sacred day. The Synagogue, by God’s command, kept holy the Saturday, or the Sabbath, and this in honour of God’s resting after the six days of the creation; but the Church, the Spouse, is commanded to honour the Work of her Lord. She allows the Saturday to pass, it is the day of her Jesus’ rest in the Sepulchre: but, now that she is illumined with the brightness of the Resurrection, she devotes to the contemplation of his Work the first day of the week; it is the day of Light, for on it he called forth material Light, (which was the first manifestation of life upon chaos,) and on the same, He that is the Brightness of the Father, and the Light of the World, rose from the darkness of the Tomb. Let, then, the Week, with its Sabbath, pass by; what we Christians want, is the Eighth Day, the Day that is beyond the measure of time, the Day of eternity, the Day whose Light is not intermittent or partial, but endless and unlimited. Thus speak the holy Fathers, when explaining the substitution of the Sunday for the Saturday. It was, indeed, right that man should keep, as the Day of his weekly and spiritual repose, that on which the Creator of the visible world had taken his divine Rest; but it was a commemoration of the material Creation only. The Eternal Word comes down in the world that he had created; he comes with the rays of his divinity clouded beneath the humble veil of our flesh; he comes to fulfill the figures of the first Covenant. Before abrogating the Sabbath, he would observe it, as he did every tittle of the Law; he would spend it as the Day of Rest, after the work of his Passion, in the silence of the Sepulchre: but, early on the Eighth Day, he rises to life, and the life is one of Glory. Let us, says the learned and pious Abbot Rupert, leave the Jews to enjoy the ancient Sabbath, which is a memorial of the visible Creation. They know not how to love or desire or merit aught but earthly things. They would not recognize this world’s Creator as their King, because he said Blessed are the Poor! and, Woe to the Rich! But our Sabbath has been transferred from the Seventh to the Eighth Day, and the Eighth is the first. And rightly was the Seventh changed into the Eighth, because we Christians put our joy in a better work than the Creation of the world. Let the lovers of the world keep a Sabbath for its Creation: but our joy is in the Salvation of the world, for our life, yea and our Rest, is hidden with Christ in God. The mystery of the Seventh followed by an Eighth Day, as the holy one, is again brought before us by the number of weeks, which form Eastertide. These weeks are seven; they form a week of weeks, and their morrow is again a Sunday, the Feast of the glorious Pentecost. These mysterious numbers, which God himself fixed, when he instituted the first Pentecost after the first Pasch, were followed by the Apostles, when they regulated the Christian Easter, as we learn from St. Hilary of Poitiers, St. Isidore, Amalarius, Rabanus Maurus, and from all the ancient interpreters of the mysteries of the holy Liturgy. If we multiply seven by seven, says St. Hilary, we shall find that this holy Season is truly the Sabbath of Sabbaths; but what completes it, and raises it to the plenitude of the Gospel, is the Eighth day which follows, Eighth and First both together in itself. 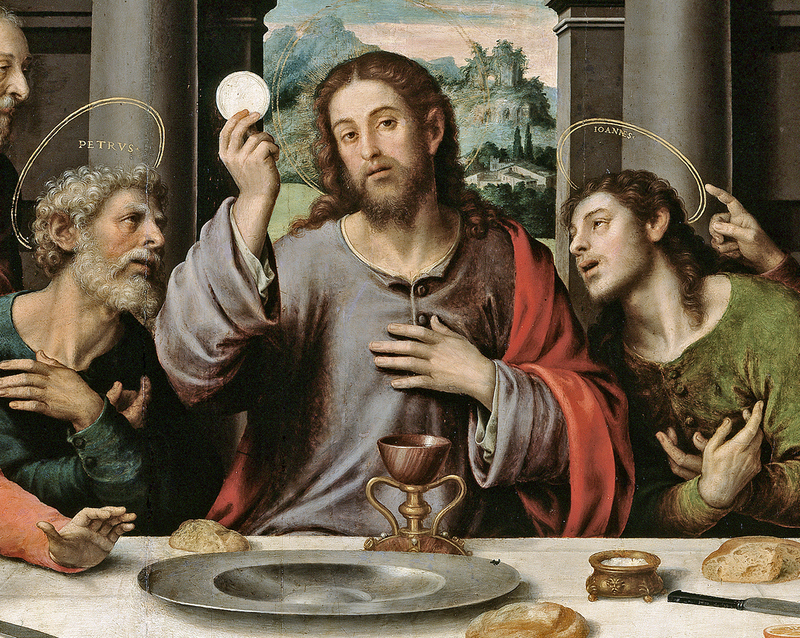 The Apostles have given so sacred an institution to these seven weeks, that, during them, no one should kneel, or mar by fasting the spiritual joy of this long Feast. The same institution has been extended to each Sunday; for this day which follows the Saturday has become, by the application of the progress of the Gospel, the completion of the Saturday, and the day of feast and joy. Thus, then, the whole Season of Easter is marked with the mystery expressed by each Sunday of the Year. Sunday is to us the great Day of our week, because beautified with the splendour of our Lord’s Resurrection, of which the creation of material light was but a type. We have already said, that this institution was prefigured in the Old Law, although the Jewish people were not in any way aware of it. Their Pentecost fell on the fiftieth day after the Pasch; it was the morrow of the seven weeks. Another figure of our Eastertide was the year of Jubilee, which God bade Moses prescribe to his people. Each fiftieth year, the houses and lands that had been alienated during the preceding forty-nine, returned to their original owners, and those Israelites, who had been compelled, by poverty, to sell themselves as slaves, recovered their liberty. This year, which was properly called the Sabbatical year, was the sequel of the preceding seven weeks of years, and was thus the image of our Eighth Day, whereon the Son of Mary, by his Resurrection, redeemed us from the slavery of the tomb, and restored us to the inheritance of our immortality. The Rites peculiar to Eastertide, in the present discipline of the Church, are two: the unceasing repetition of the Alleluia, of which we have already spoken, and the colour of the vestments used for its two great solemnities, white for the first, and red for the second. White is appropriate to the Resurrection; it is the mystery of eternal Light, which knows neither spot nor shadow; it is the mystery that produces in a faithful soul the sentiment of purity and joy. Pentecost, which gives us the Holy Spirit, the consuming Fire is symbolized by the red vestments, which express the mystery of the Divine Paraclete coming down in the form of fiery tongues upon them that were assembled in the Cenacle. 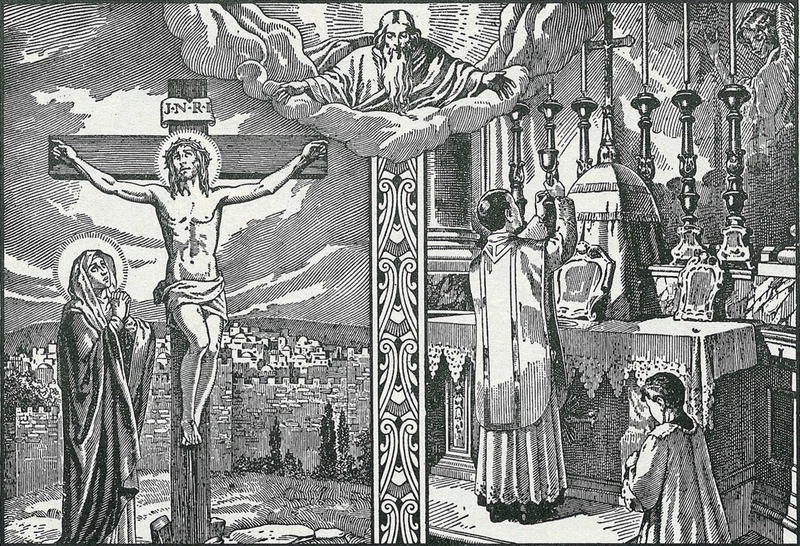 With regard to the ancient usage of not kneeling during Paschal Time, we have already said, that there is a mere vestige of it now left in the Latin Liturgy. The Saint’s Feasts, which were interrupted during Holy Week, are likewise excluded from the first eight days of Eastertide; but these ended, we shall have them in rich abundance, as a bright constellation of stars round the divine Sun of Justice, our Jesus. They will accompany us in our celebration of his admirable Ascension; but such is the grandeur of the mystery of Pentecost, that, from the Eve of that Day, they will be again interrupted until the expiration of Paschal Time. The Rites of the primitive Church with reference to the Neophytes, who were regenerated by Baptism on the Night of Easter, are extremely interesting and instructive. But as they are peculiar to the two Octaves of Easter and Pentecost, we will explain them as they are brought before us by the Liturgy of those days.